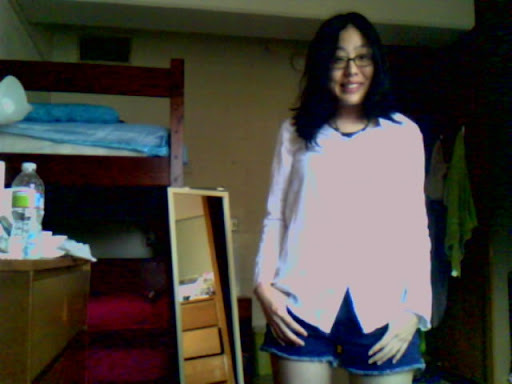 Button down top and denim shorts from Korea. Hematite necklace from turkey. 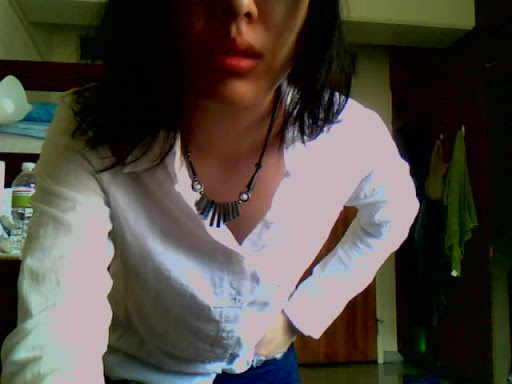 I'm wearing a super simple outfit. I just really really like the necklace! It's made of hematite, and my Grandma had brought it back from Turkey a long while ago. And I'm just finally wearing it. And I apologize for the crappy quality photos. I lack the skills to use an actual camera to take pics of myself. haha.. I think its funny because I never do outfit posts and I'm starting to now. + Bruised my pinky toe, pretty badly. I just find it hilarious. Its a sign that I need to sloww down. + Busy weekend ahead, I'm going to the Adams Morgan Day Festival in DC and probably sewing or pattern making for my class or whatever shenanigans I'm getting myself into. haha. + I have about 2400 some blog posts to catch up on. I'm starting NOW! Have an amazing weekend!! What are you guys up to?!? i lovvvee that necklace. regards to your bruised toe. Komentar untuk posting SIMPLICITY & COMFORT: foto kamu yang pertama terlalu terang, foto yang kedua lumayan. Btw, Do you understand Indonesian. Love the necklace!! !good combitnation with simple white shirt!!! You look so summery and sweet! I too bruised my pinky too once..trying to avoid tripping over a cat! Did I already comment on this? I don't know! Also: I love Korea, so I love your outfit by default. Hope you're having a good weekend! Keeping busy isn't the worst thing in the world!